Have you heard the good news? Jesus is coming! 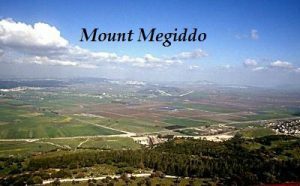 Jesus was with His disciples on mount Olives where He explained to them firstly the destruction of Jerusalem, and then, what did He explain next? Matthew 24:21.22 For then shall be great tribulation, such as was not since the beginning of the world to this time, no, nor ever shall be. And except those days would be shortened, there would no flesh be saved: but for the elect’s sake those days shall be shortened. Revelation 11:2.3 … and the holy city (Gods people) shall they tread under foot forty and two months. And I will give power unto my two witnesses, and they shall prophesy a thousand two hundred and threescore days, clothed in sackcloth. 1 Jewish month was 30 days. 42×30=1260 days. 1 day in prophecy equals 0 1year. Daniel 7:25 and Revelation 11:2.3 speak about the long Papal supremacy and persecution for 1260 years, from AD 538 -1798. Revelation 6:12-17 And I beheld when He had opened the Sixth Seal, and lo, there was a GREAT EARTHQUAKE; and the SUN BECAME BLACK as sackcloth of hair, and the MOON BECAME AS BLOOD; And the STARS OF HEAVEN FELL unto the earth, even as a fig tree casteth her untimely figs, when she is shaken of a mighty wind. And the heaven departed as a scroll when it is rolled together; and every mountain and island were moved out of their places. And the kings of the earth, and the great men, and the rich men, and the chief captains, and the mighty men, and every bondman, and every free man, hid themselves in the dens and in the rocks of the mountains; And said to the mountains and rocks, Fall on us, and hide us from the face of Him that sitteth on the Throne, and from the wrath of the Lamb: For the Great Day of His wrath is come; and who shall be able to stand? Let us begin with the sixth seal. The 7 seals in Revelation are 7 time periods with the experience of God’s people described. The sixth seal describes a large a span of time from a great earthquake till the coming of Jesus. “There shall be signs in the sun, and in the moon, and in the stars.” Luke 21:25. “The sun shall be darkened, and the moon shall not give her light, and the stars of heaven shall fall, and the powers that are in heaven shall be shaken. And then shall they see the Son of man coming in the clouds with great power and glory.” Mark 13:24-26. The Revelator thus describes the first of the signs to precede the second advent: “There was a great earthquake; and the sun became black as sackcloth of hair, and the moon became as blood.” Revelation 6:12. These signs were witnessed before the opening of the nineteenth century. 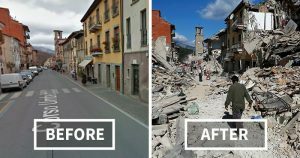 In fulfillment of this prophecy there occurred, in the year 1755, (1.November, 9.40am) the most terrible earthquake that has ever been recorded. Though commonly known as the earthquake of Lisbon, it extended to the greater part of Europe, Africa, and America. It was felt in Greenland, in the West Indies, in the island of Madeira, in Norway and Sweden, Great Britain and Ireland. It pervaded an extent of not less than four million square miles. In Africa the shock was almost as severe as in Europe. A great part of Algiers was destroyed; and a short distance from Morocco, a village containing eight or ten thousand inhabitants was swallowed up. A vast wave swept over the coast of Spain and Africa engulfing cities and causing great destruction. It was in Spain and Portugal that the shock manifested its extreme violence. At Cadiz the inflowing wave was said to be sixty feet high. (18 metres) Mountains, “some of the largest in Portugal, were impetuously shaken, as it were, from their very foundations, and some of them opened at their summits, which were split and rent in a wonderful manner, huge masses of them being thrown down into the adjacent valleys. Flames are related to have issued from these mountains.”– Sir Charles Lyell, Principles of Geology, page 495. At Lisbon “a sound of thunder was heard underground, and immediately afterwards a violent shock threw down the greater part of that city. In the course of about six minutes sixty thousand persons perished. 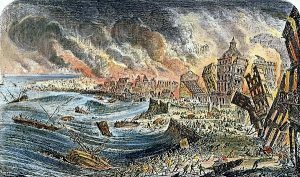 The sea first retired, and laid the bar dry; it then rolled in, rising fifty feet or more above its ordinary level.” “Among other extraordinary events related to have occurred at Lisbon during the catastrophe, was the subsidence of a new quay, built entirely of marble, at an immense expense. A great concourse of people had collected there for safety, as a spot where they might be beyond the reach of falling ruins; but suddenly the quay sank down with all the people on it, and not one of the dead bodies ever floated to the surface.”–Ibid., page 495. Encyclopedia Americana, art. “Lisbon,” note (ed. 1831). Earthquakes in the time of the end will be more frequent. Matthew 24:7 …Earthquakes in diverse places. The next sign given according to the sequence in Revelation 6:12 is the darkening of the sun. The 1260 days, or years, terminated in 1798. A quarter of a century earlier, persecution had almost wholly ceased. Following this persecution, according to the words of Christ, the sun was to be darkened. On the 19th of May, 1780, this prophecy was fulfilled. “Almost, if not altogether alone, as the most mysterious and as yet unexplained phenomenon of its kind, . 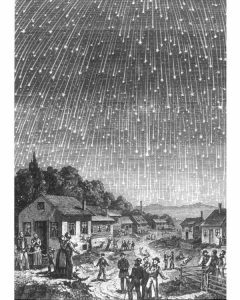 . . stands the dark day of May 19, 1780,–a most unaccountable darkening of the whole visible heavens and atmosphere in New England.”–R. M. Devens, Our First Century, page 89. An eyewitness living in Massachusetts describes the event as follows: “In the morning the sun rose clear, but was soon overcast. The clouds became lowery, and from them, black and ominous, as they soon appeared, lightning flashed, thunder rolled, and a little rain fell. Toward nine o’clock, the clouds became thinner, and assumed a brassy or coppery appearance, and earth, rocks, trees, buildings, water, and persons were changed by this strange, unearthly light. A few minutes later, a heavy black cloud spread over the entire sky except a narrow rim at the horizon, and it was as dark as it usually is at nine o’clock on a summer evening. . . .
“Fear, anxiety, and awe gradually filled the minds of the people. Women stood at the door, looking out upon the dark landscape; men returned from their labor in the fields; the carpenter left his tools, the blacksmith his forge, the tradesman his counter. Schools were dismissed, and tremblingly the children fled homeward. Travelers put up at the nearest farmhouse. ‘What is coming?’ queried every lip and heart. It seemed as if a hurricane was about to dash across the land, or as if it was the day of the consummation of all things. “Candles were used; and hearth fires shone as brightly as on a moonless evening in autumn. . . . Fowls retired to their roosts and went to sleep, cattle gathered at the pasture bars and lowed, frogs peeped, birds sang their evening songs, and bats flew about. But the human knew that night had not come. . . .
“Dr. Nathanael Whittaker, pastor of the Tabernacle church in Salem, held religious services in the meeting-house, and preached a sermon in which he maintained that the darkness was supernatural. Congregations came together in many other places. The texts for the extemporaneous sermons were invariably those that seemed to indicate that the darkness was consonant with Scriptural prophecy. . . . The darkness was most dense shortly after eleven o’clock.”–The Essex Antiquarian, April, 1899, vol. 3, No. 4, pp. 53, 54. “In most parts of the country it was so great in the daytime, that the people could not tell the hour by either watch or clock, nor dine, nor manage their domestic business, without the light of candles. . . . “The extent of this darkness was extraordinary. It was observed as far east as Falmouth. To the westward it reached to the farthest part of Connecticut, and to Albany. To the southward, it was observed along the seacoasts; and to the north as far as the American settlements extend.”–William Gordon, History of the Rise, Progress, and Establishment of the Independence of the U.S.A., vol. 3, p. 57. The intense darkness of the day was succeeded, an hour or two before evening, by a partially clear sky, and the sun appeared, though it was still obscured by the black, heavy mist. “After sundown, the clouds came again overhead, and it grew dark very fast.” “Nor was the darkness of the night less uncommon and terrifying than that of the day; notwithstanding there was almost a full moon, no object was discernible but by the help of some artificial light, which, when seen from the neighboring houses and other places at a distance, appeared through a kind of Egyptian darkness which seemed almost impervious to the rays.”–Isaiah Thomas, Massachusetts Spy; or, American Oracle of Liberty, vol. 10, No. 472 (May 25, 1780). Said an eyewitness of the scene: “I could not help conceiving at the time, that if every luminous body in the universe had been shrouded in impenetrable shades, or struck out of existence, the darkness could not have been more complete.”–Letter by Dr. Samuel Tenney, of Exeter, New Hampshire, December, 1785 (in Massachusetts Historical Society Collections, 1792, 1st series, vol. 1, p. 97). Though at nine o’clock that night the moon rose to the full, “it had not the least effect to dispel the deathlike shadows.” After midnight the darkness disappeared, and the moon, when first visible, had the appearance of blood. “The sun shall be turned into darkness, and the moon into blood, before the great and terrible day of the Lord come.” Joel 2:31. Christ had bidden His people watch for the signs of His advent and rejoice as they should behold the tokens of their coming King. The Falling of the Stars. “The stars shall fall from heaven.” Matthew 24:29. And John in the Revelation declared, as he beheld in vision the scenes that should herald the day of God: “The stars of heaven fell unto the earth, even as a fig tree casteth her untimely figs, when she is shaken of a mighty wind.” Revelation 6:13. “Its sublimity and awful beauty still linger in many minds. . . . Never did rain fall much thicker than the meteors fell toward the earth; east, west, north, and south, it was the same. In a word, the whole heavens seemed in motion. . . . The display, as described in Professor Silliman’s Journal, was seen all over North America. . . .
From two o’clock until broad daylight, the sky being perfectly serene and cloudless, an incessant play of dazzlingly brilliant luminosities was kept up in the whole heavens.”–R. M. Devens, American Progress; or, The Great Events of the Greatest Century, ch. 28, pars. 1-5. “No language, indeed, can come up to the splendor of that magnificent display; . . . no one who did not witness it can form an adequate conception of its glory. It seemed as if the whole starry heavens had congregated at one point near the zenith, and were simultaneously shooting forth, with the velocity of lightning, to every part of the horizon; and yet they were not exhausted–thousands swiftly followed in the tracks of thousands, as if created for the occasion.”–F. Reed, in the Christian Advocate and Journal, Dec. 13, 1833. “A more correct picture of a fig tree casting its figs when blown by a mighty wind, it was not possible to behold.”–“The Old Countryman,” in Portland Evening Advertiser, Nov. 26, 1833. Thus was displayed the last of those signs of His coming, concerning which Jesus bade His disciples: “When ye shall see all these things, know that it is near, even at the doors.” Matthew 24:33. Agnes Clarke’s Victorian Astronomy writer. Genesis 49:10 The sceptre shall not depart from Judah, nor a lawgiver from between his feet, until Shiloh (The Messiah) come; and unto Him shall the gathering of the people be. The Jews because of their unbelief and carelessness in studying the Scriptures, never saw the star that led to the spot where the Saviour was born. The wise men from the east had studied the prophecies and came with their costly presents to honour and worship the newborn King. They had recognised the unusual star in their homeland. The shepherds also who guarded the sheep by night near Bethlehem were just then studying the prophecies concerning the coming of the Messiah. They greatly longed for His soon coming. To them the angels came with the great news. Luke 2:10.11 And the angel said unto them, Fear not: for, behold, I bring you good tidings of great joy, which shall be to all people. For unto you is born this day in the city of David a Saviour, which is Christ the Lord. In the same manner the signs for Christ’s second coming are not recognised by most churches. Luke21:25 And there shall be signs … the sea and the waves roaring. Tsunamis and tidal waves have caused much damage. 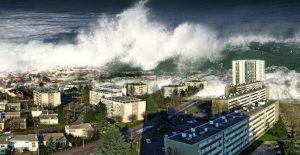 The tsunami in the Indian Ocean on December 26, 2004 alone claimed the lives of over a quarter million people. Matth.24:6-8 And ye shall hear of wars and rumours of wars: see that ye be not troubled: for all these things must come to pass, but the end is not yet. For nation shall rise against nation, and kingdom against kingdom: and there shall be famines, and pestilences, and earthquakes, in divers places. All these are the beginning of sorrows. While there were wars at certain times ever since sin entered into the world, but never has the spirit of war had such a dimension as in the time of the end. Bombs and remotely controlled missiles. War planes and helicopters, etc. The nations of the whole earth are allied one to another, and in case of a war most nations are involved, as seen in the first and second world war with its terrible results. After the second world war even many small nations or tribes declared their “independence” and become heavily armed with weapons. 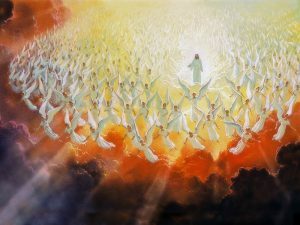 Revation 11:18 And the nations were angry, and Thy wrath is come, and the time of the dead, that they should be judged, and that Thou shouldest give reward unto Thy servants the prophets, and to the saints, and them that fear Thy name, small and great; and shouldest destroy them which destroy the earth. Joel 3:9-14 Proclaim ye this among the Gentiles; Prepare war, wake up the mighty men, let all the men of war draw near; let them come up: Beat your plowshares into swords, and your pruninghooks into spears: let the weak say, I am strong. Assemble yourselves, and come, all ye heathen, and gather yourselves together round about: thither cause thy mighty ones to come down, O LORD. Let the heathen be wakened, and come up to the valley of Jehoshaphat: for there will I sit to judge all the heathen round about. 13. Put ye in the sickle, for the harvest is ripe: come, get you down; for the press is full, the vats overflow; for their wickedness is great. Multitudes, multitudes in the valley of decision: for the day of the LORD is near in the valley of decision. What is meant by “the valley of Jehoshaphat or the valley of decision”? In this valley foremost and beyond the last war will take place during the seven last plagues. This will be the last destruction of those armies participating in this war. Revelation 14:19.20 And the angel thrust in his sickle into the earth, and gathered the vine of the earth, and cast it into the great winepress of the wrath of God. And the winepress was trodden without the city, and blood came out of the winepress, even unto the horse bridles, by the space of a thousand and six hundred furlongs. A memorial of a battle before it has taken place. This plaque has been placed on the hill of Megiddo (Armageddon) It reads that here at the “end of days” the last war will take place. A part of this writing is in the English language, quoting Revelation 16:16 And he gathered them together into a place called in the Hebrew tongue Armageddon. A memorial of a battle before it has taken place. 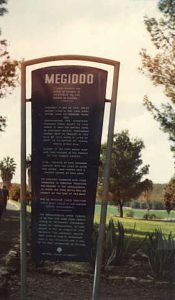 This plaque has been placed on the hill of Megiddo (Armageddon) It reads that here at the “end of days” the last war will take place. A part of this writing is in the English language, quoting Revelation 16:16 And he gathered them together into a place called in the Hebrew tongue Armageddon. 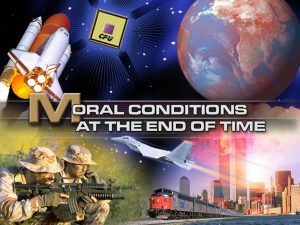 As almost all churches participated in the first and second world war, thus rejecting God’s commandments, likewise they will end up in the last war and the universal destruction in Armageddon. Revelation 18:4. And I heard another voice from heaven, saying, Come out of her, My people, that ye be not partakers of her sins, and that ye receive not of her plagues. 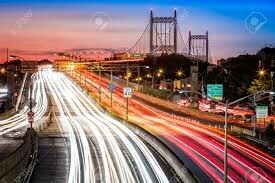 And see how knowledge and fast travel with modern transportation increases in the time of the end. Here it speaks about high flying airplanes and then coming down to the airport like doves to their windows. 2 Timothy3:1-5 This know also, that in the last days perilous times shall come. For men shall be lovers of their own selves, covetous, boasters, proud, blasphemers, disobedient to parents, unthankful, unholy, Without natural affection, trucebreakers, false accusers, incontinent, fierce, despisers of those that are good, Traitors, heady, highminded, lovers of pleasures more than lovers of God; Having a form of godliness, but denying the power thereof: from such turn away. 19 sins are here listed to predominate the last days. Matthew 24:37-39 But as the days of Noah were, so shall also the coming of the Son of man be. For as in the days that were before the flood they were eating and drinking, marrying and giving in marriage, until the day that Noah entered into the ark, And knew not until the flood came, and took them all away; so shall also the coming of the Son of Man be. Isaiah 8:19.20 And when they shall say unto you, Seek unto them that have familiar spirits, and unto wizards that peep, and that mutter: should not a people seek unto their God? for the living to the dead? To the law and to the testimony: if they speak not according to this Word, it is because there is NO light in them. According to statistics every second widow in the USA had contact with the dead. All major churches believe in the natural immortality of soul. Now Satan has free and easy access to them. 2Corinthians 11:14.15 And no marvel; for Satan himself is transformed into an angel of light. Therefore it is no great thing if his ministers also be transformed as the ministers of righteousness; whose end shall be according to their works. In 1Samuel 28:5- 21 we read how king Saul went to the witch of Endor, and she brought up at his request “Samuel” who was none other than an evil spirit. Matthew 24:4.24 And Jesus answered and said unto them, Take heed that no man deceive you. For there shall arise false Christs, and false prophets, and shall show great signs and wonders; insomuch that, if it were possible, they shall deceive the very elect. Luke 21:33-36 Heaven and earth shall pass away: but My Words shall not pass away. And take heed to yourselves, lest at any time your hearts be overcharged with surfeiting, and drunkenness, and cares of this life, and so that Day come upon you unawares. For as a snare shall it come on all them that dwell on the face of the whole earth. 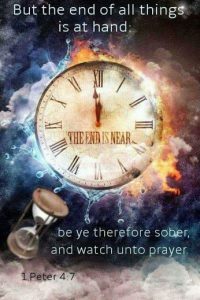 Watch ye therefore, and pray always, that ye may be accounted worthy to escape all these things that shall come to pass, and to stand before the Son of Man. Revelation 22:20 Surely I come quickly. Amen.